It seems like lately I've been nails obsessed and here is another design I was dreaming to do. 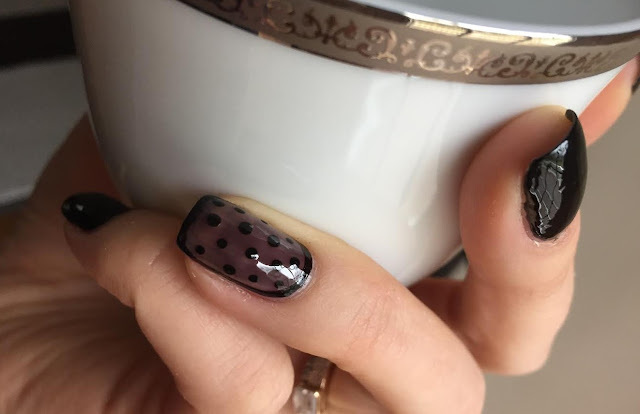 I like this nail art very much and I thought it's hard to accomplish, but turned out it's not. Yay for me. I know this design will look pretty on all of the nails too, but since I was trying it for the first time I just did on my ring finger. 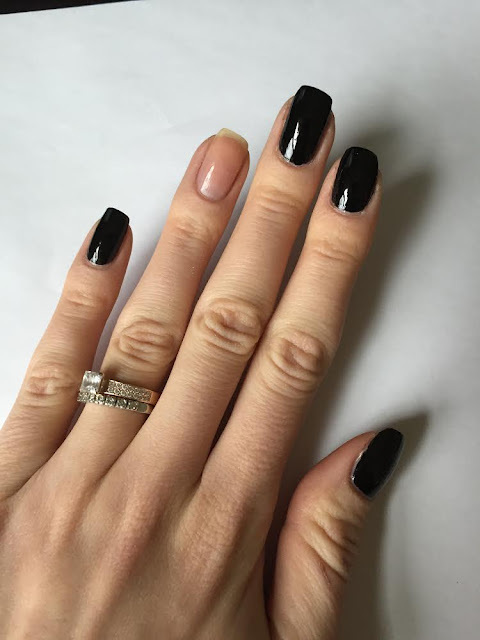 Start with base coat, then apply two coats of black nail polish on all nails accept ring finger. 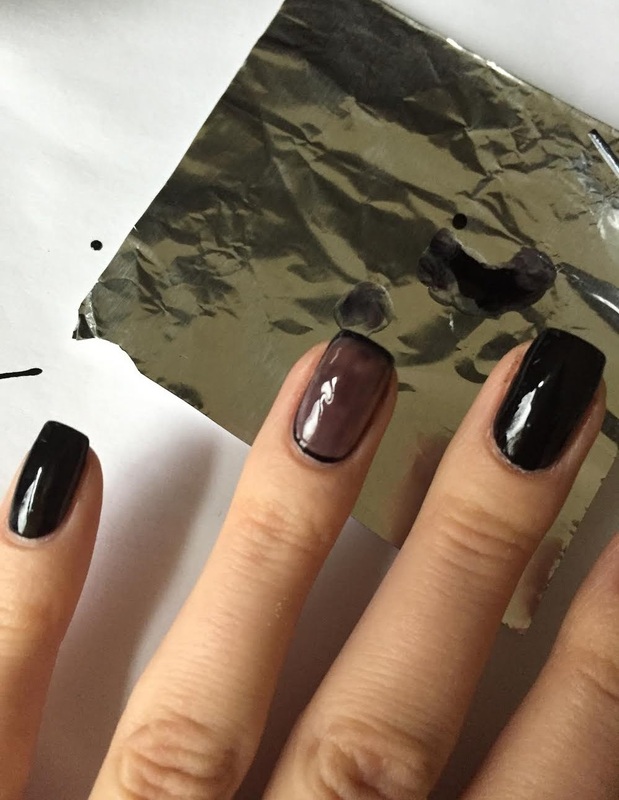 Using nail polish with thin brush outline your finger nail. It's little tricky. My recommendations are to do the half moon on top then half moon on the bottom, and then connect the sides. 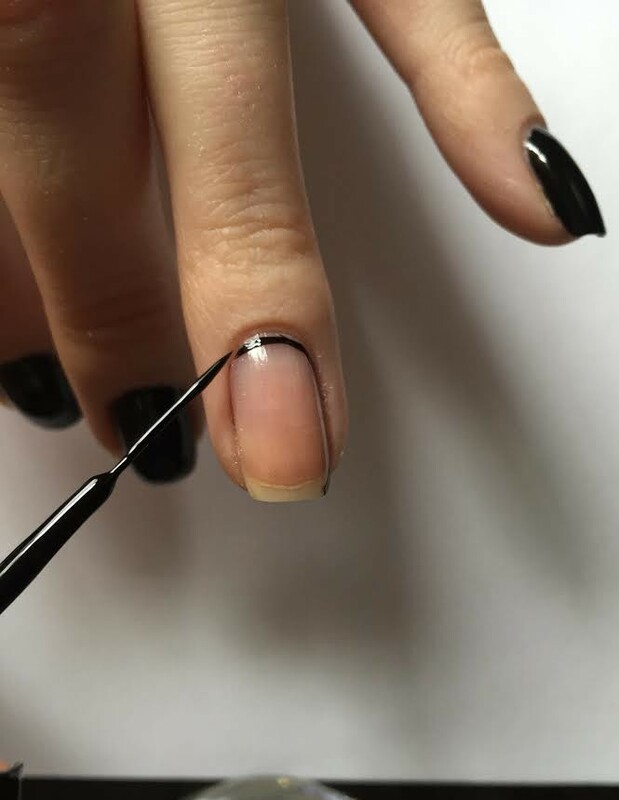 The point of this nail design to make black nail polish "see through", like tights. 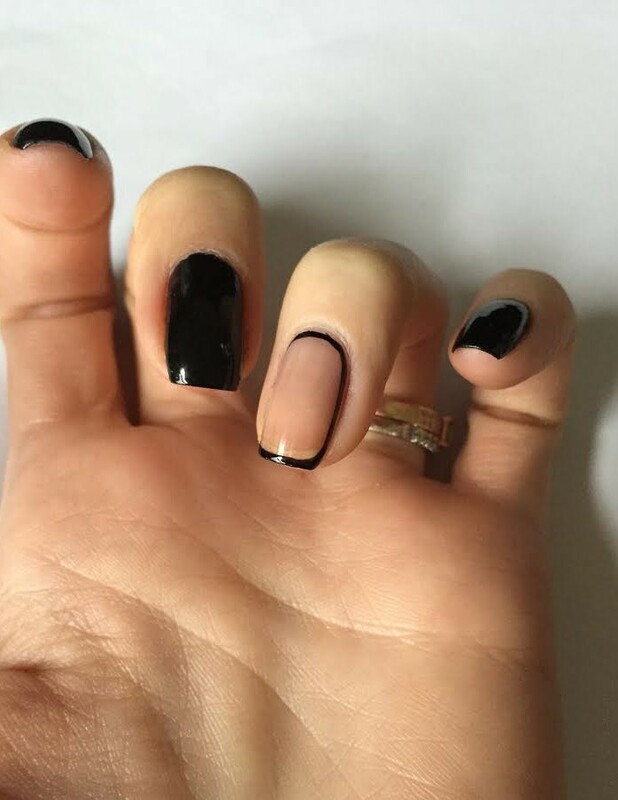 To achieve this look take tan foil and put few drops of clear nail polish on it and one drop of black nail polish next to it. Start mixing polishes till you get water down black color. You can make as light or dark as you want. 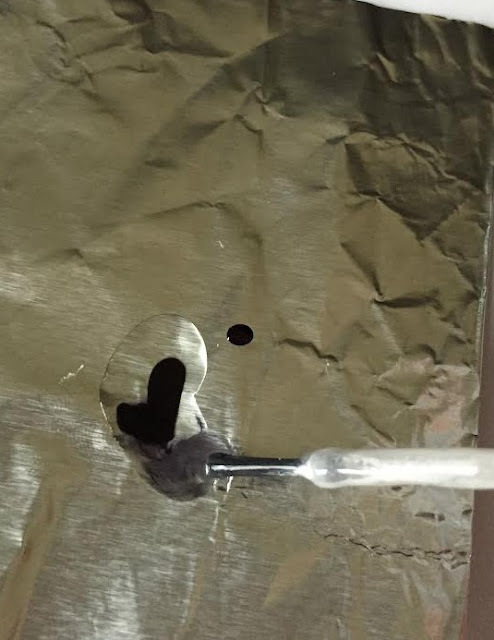 Bare in mind you will need a very little amount of black nail polish. When you get desired color apply it on your nail. 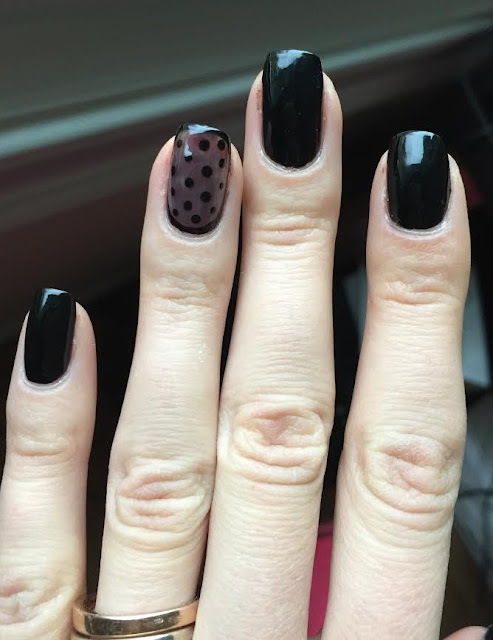 Use dotting tool to put dots. The last step is to apply top coat (after dots are dry, you don't want to smudge them with nail brush). 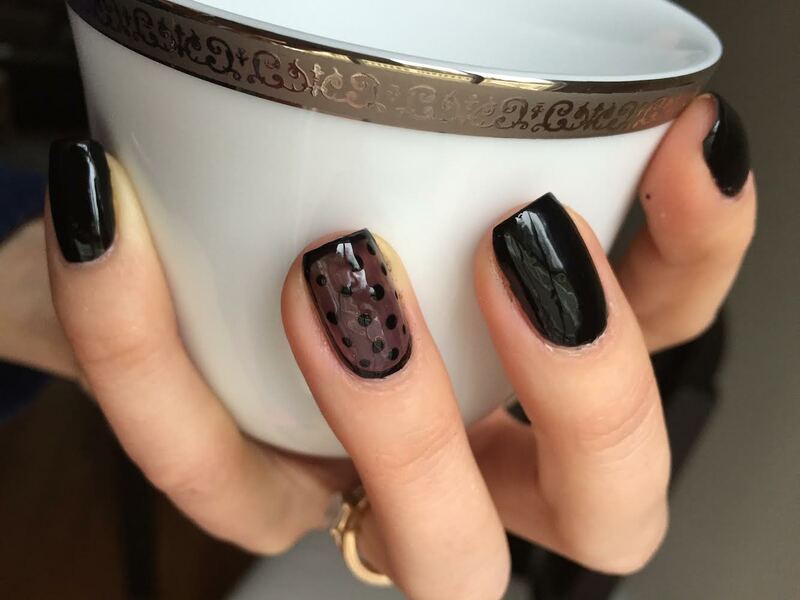 Hope you enjoyed this nail design. Give a thumbs up if you did and want more.